The University of Brighton Design Archives has retained its place among the country’s top museums, galleries and collections by once again receiving funding from the Higher Education Funding Council for England (HEFCE). 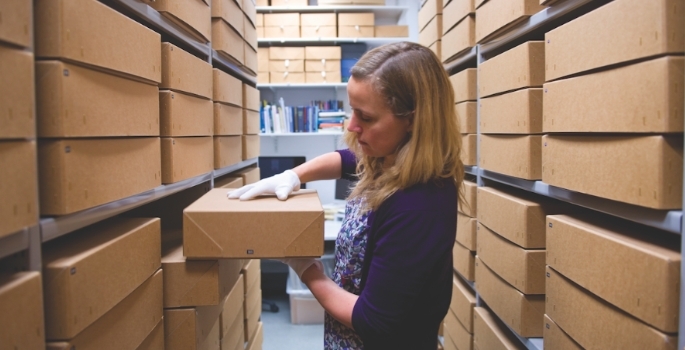 Funding was first awarded in 2010 and, following a competitive review process that took place in Summer 2016, the archives will continue to receive £60,000 in each of the next five years. The review submission demonstrated the significance of the Design Archives collections and the expertise its small team provides to the wider research community. The Design Archives hold the most significant body of material relating to post-war design organisations in any British university. Amounting to over 20 separate collections, the archives are an integral part of the research environment of the College of Arts and Humanities and the research profile of the university. The funding followed a review of university museums and galleries, led by Diane Lees, Director-General of the Imperial War Museum.